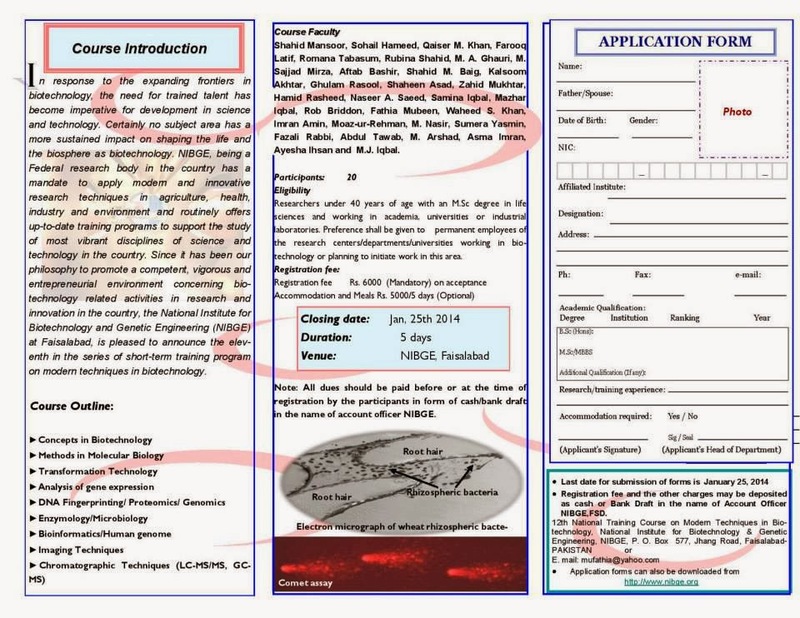 National Institute for Biotechnology and Genetic Engineering (NIBGE), Faisalabad is organising 5 days 12 National Training Course on Modern Techniques in Biotechnology from 17 to 21 February 2014 at National Institute for Biotechnology and Genetic Engineering (NIBGE), Jhang Road, Faisalabad - Pakistan. In response to the expanding frontiers in biotechnology the need for trained talent gas become imperative for development in science and technology. Certainly no subject area has a more sustained impact on shaping the life and the biosphere as biotechnology. NIBGE being a Federal research body in the country has a mandate to apply modern and innovative research techniques in agriculture, health, industry and environment and routinely offers up-to-date training programs to support study of most vibrant disciplines of science and technology in the country. 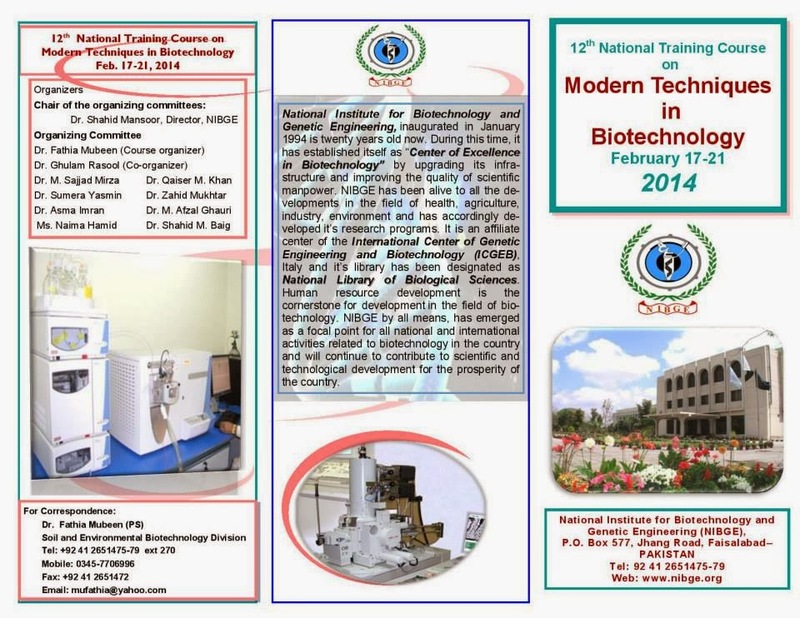 Since it has been NIBGE philosophy to promote a competent, vigorous and entrepreneurial environment concerning biotechnology activities in research and innovation in the country, the National Institute for Biotechnology and Genetic Engineering (NIBGE) at Faisalabad is pleased to announce the twelfth in the series of short-term training program on modern techniques in biotechnology. Researcher under 40 years age with M.Sc degree in life sciences and working in academia, universities or industrial laboratories. Preference shall be given to permanent employees of the research centres/departments/universities working in biotechnology or planning to initiate work in this area.